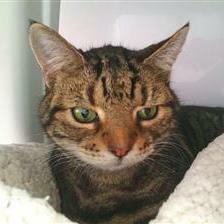 TAZ arrived at the Heydon Centre after his previous owner unfortunately passed away. He says he is now looking for a home where "all his whims can be dealt with accordingly". This includes being brushed regularly and given lots of fuss whenever possible. After what he's been through, this boy deserves to get all the loving and pampering he asks for and more! Visit his page at Wood Green today! 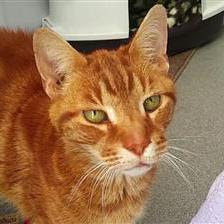 MONTY is such a stunning male cat as you can see! He arrived at the centre as a stray but he is a friendly boy, who enjoys a fuss and attention. He also loves a lap to sit on. If you want ot know more about him visit his profile. and no doubt many other reasons are given when a pet is abandoned just because someone decides they can't take care of it anymore. But thanks to animal charities like Wood Green these animals are given care and another chance in life. A chance to find a new forever home. But charities like these cannot do it alone of course. To give these abandoned pets the help they need, to feed and shelter them, give them veterinary care and love until they find the loving home they deserve, help and support from the public is a must. So this week, from 9 to 16 May 2016, Wood Green The Animals Charity (who take in more than 90 homeless and abandoned animals each week) are hoping to raise awareness and funds to help more animals. Yes, 'unwanted' is not a nice word, but as I said, the reality is that a lot of animals that find themselves at rescue shelters are 'unwanted' by someone. But that doesn't stop them becoming 'wanted' by some kind hearted person. 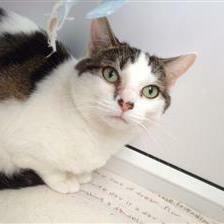 Animal lovers like my human mum, who found me at Wood Green and adopted me. For I was 'unwanted' once. A tiny kitten abandoned in a garden in North London. But I was lucky. Extremely lucky to be taken care of by Wood Green until I found my forever home. CLICK HERE TO DONATE to help transform the lives of homeless or abandoned pets. Taz, Monty, and Honey are so cute! Manna completely understands Taz's need to be fussed about. :) I'm glad that Wood Green is helping kitties that are less likely to be adopted! They are all precious. What lovely cats! We pets are lifetime commitments - I don't get why there are some humans out there who don't understand that. Such beauties, I hope they all get forever homes soon. Hopefully these kitties, and many more will find the perfect forever home. It makes us sad that any kitty would be categorized as "unwanted," but it does make a good point. We are thankful for Wood Green, and know that these lovelies will find loving forever homes real soon. Sharing! Yes, Wood Green is a great animal charity. The North London centre, where Athena is from, first opened in 1924. Definitely agree, Summer! Some humans are useless (and cruel). We hope and purr for all kitties to have a forever home.